Benthic foraminiferal assemblages were investigated in 28 surface samples taken from the south-eastern Mediterranean coast of Turkey. Alien species Edentostomina cultrata (Brady), Pyrgo denticulata (Brady) Articulina alticostata Cushman, Sorites orbiculus (Forskål), Bulimina biserialis Millett, Cymbaloporetta plana (Cushman), Amphistegina lobifera Larsen and Pararotalia calcariformata McCulloch, which are originated from the Indo-Pacific were recorded in the samples. Arieli, R. N., Almogi-Labin, A., Abramovich, S., & Herut, B. (2011). The effect of thermal pollution on benthic foraminiferal assemblages in the Mediterranean shoreface adjacent to Hadera power plant (Israel). Marine Pollution Bulletin, 62, 1002-1012. Avşar, N. (2002), Benthic foraminiferal distribution and taxonomy in the continental shelf of Gökçeada, Bozcaada and Çanakkale triangle (NE Aegean Sea). Yerbilimleri, 26, 53-75. Avşar, N. & Yanko, V. (1995). Taxonomy of benthic foraminifera of İskenderun Bay, Avicenne: Benthic foraminifera as indicators of heavy metal pollution-A new kind of biological monitoring for the Mediterranean Sea. Annual Report 1995, 233-247. Bresler, V. & Yanko, V. (1995). Chemical ecology: A new approach to the study of living benthic epiphytic foraminifera. Journal of Foraminiferal Research, 25(3), 267-279. Hyams-Kaphzan, O., Almogi-Labin, A., Sivan, D. & Benjamini, C. (2008). Benthic foraminifera assemblage change along the southeastern Mediterranean inner shelf due to fall-off of Nile-derived siliciclastics. Neues Jahrbuch für Geologie und Paläontologie – Abhandlungen, 248(3), 315-344. Hyams-Kaphzan, O., Grossowicz, L. P. & Almogi-Labin, A. (2014). Characteristics of benthic foraminifera inhabiting rocky reefs in northern Israeli Mediterranean shelf. Report no: ES-20-2014, The Geological Survey of Israel, 32 p.
Kırcı-Elmas, E. & Meriç, E. (2016). Foraminiferal fauna of the Sea of Marmara. In: The Sea of Marmara, Marine biodiversity, fisheries, conservation and governance, 401-417 (eds: E. Özsoy, M. N. Çağatay, N. Balkıs and B. Öztürk), 957 p., Turkish Marine Research Foundation, No: 42, İstanbul. Meriç E, Yokeş MB, Avşar N. & Dinçer F (2015) Main Introduction Way of Indo-Pacific and Red Sea Originated Benthic Foraminifers to the Eastern Mediterranean. 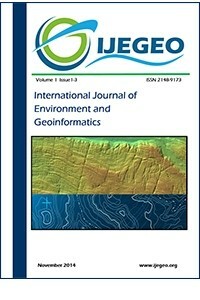 International Journal of Environment and Geoinformatics (IJEGEO). 2(3): 07-12. Meriç, E., Avşar, N. & Bergin, F. (2004). Benthic foraminifera of Eastern Aegean Sea (Turkey) Systematics and Autoecology. Turkish Marine Research Foundation, Puplication no: 18, 306 p.
Meriç, E., Avşar, N., Nazik, A., Yokeş, B., Yücesoy-Eryılmaz, F. & Dinçer, F. (2012). Deliçay-Tarsus Nehri (Kazanlı-Mersin) arası kıyı alanı bentik foraminifer ve ostrakod faunası hakkında görüşler. SBT 2012 Sualtı Bilim ve Teknoloji Toplantısı Bildiriler Kitabı, 133-142, 17-18 Kasım 2012, İstanbul. Meriç, E., Yokeş, M. B., Avşar, N., Kırcı-Elmas, E., Dinçer, F., Karhan, S. Ü., Kalkan, E. & Demir, V. (2013). First report of Pararotalia calcariformata from the Hatay costline (Turkey – North-Eastern Mediterranean). Marine Biodiversity Records, 6: 31p. Schmidt, C. (2015). Global Change Stress on Symbiont-Bearing Benthic Foraminifera. Ph. D. Thesis, Bremen University, 165 p.Schmidt, C., Morard, R., Almogi-Labin, A., Weinmann, A. E., Titelboim, D., Abramovich, S. & Kucera, M. (2015). Recent invasion of the symbiont-bearing foraminifera Pararotalia into the eastern Mediterranean facilitated by the ongoing warming trend. PLoS ONE, 10(8): e0132917. Titelboim, D., Sadekov, A., Almogi-Labin, A., Herut, B., Kucera, M., Schmidt, C., Hyams-Kaphzan, O. & Abramovich, S. (2017). Geochemical signatures of benthic framiniferal shells from a heat-polluted shallow marine environment provide field evidence for growth and calcification under extreme warmth. Global Change Biology, 23, 4346-4353. Ünlüata, Ü., Oğuz, T., Latif, M. & Özsoy, E. (1990). On the physical oceanography of the Turkish Straits, in: The physical oceanography of sea straits, 25–60, Springer. Yanko, V., Ahmad, M. & Kaminski, M. (1998). Morphological deformities of benthic foraminiferal tests in responce to pollution by heavy metals: Implications for pollution monitoring. Journal of Foraminiferal Research, 28(3), 177-200. Yanko, V., Kronfeld, J. & Flexer, A. (1994). Response of benthic foraminifera to various pollution sources: Implications for pollution monitoring. Journal of Foraminiferal Research, 24(1), 1-17. Zenetos, A., Gofas, S., Morri, C., Rosso, A., Violanti, D., Garcia Raso, J. E Cinar, M. E., Almogi-Labin, A., Ates, A. S., Azzurro, E., Ballesteros, E., Bianchi, C. N., Bilecenoglu, M., Gambi, M. C., Giangrande, A., Gravili, C., Hyams-Kaphzan, O., Karachle, P. K., Katsanevakis, S., Lipej, L., Mastrototaro, F., Mineur, F., Pancucci-Papadopoulou, M. A., Ramos Espla, A., Salas, C., San Martin, G., Sfriso, A., Streftaris, N. & Verlaque, M. (2012). Alien species in the Mediterranean Sea by 2012. A contribution to the application of European Union’s Marine Strategy Framework Directive (MSFD). Part 2. Introduction trends and pathways. Mediterranean Marine Science, 13(2), 328-352.